The ancient Egyptians called aloe vera the “plant of immortality.” Pictures of the plant appear on ancient stone carvings from 6,000 years ago and were found offered as a burial gift for pharaohs. It is also used in traditional Indian medicine for constipation, skin diseases, worm infestation, infections and as a natural remedy for colic. 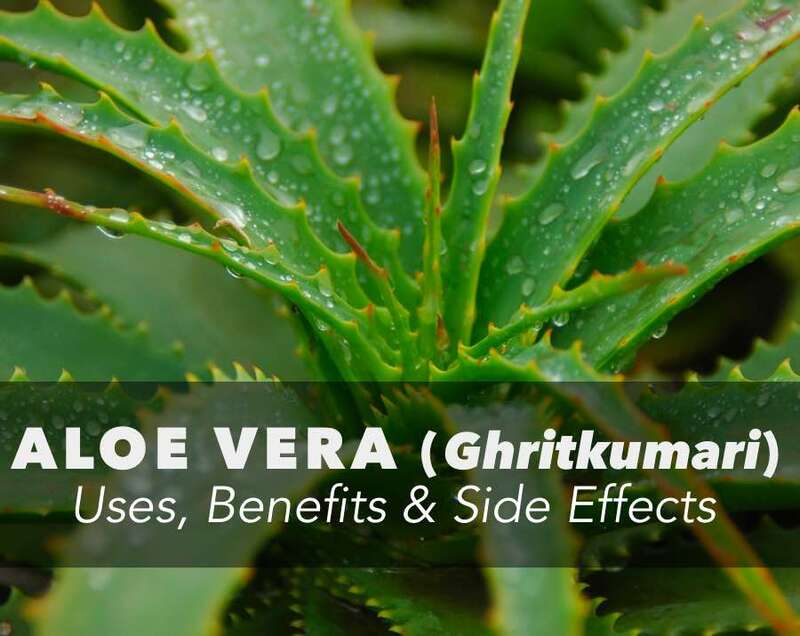 In hindi and among ayurvedic practitioners aloe is better known as “Ghritkumari”. In Chinese medicine, it’s often recommended in the treatment of fungal diseases, and in the Western world, it has found widespread use in the cosmetic, pharmaceutical and food industries. In fact, the manufacturing of aloe vera extracts is one of the largest botanical industries in the world. So almost everyone knows that aloe vera has immense benefits. 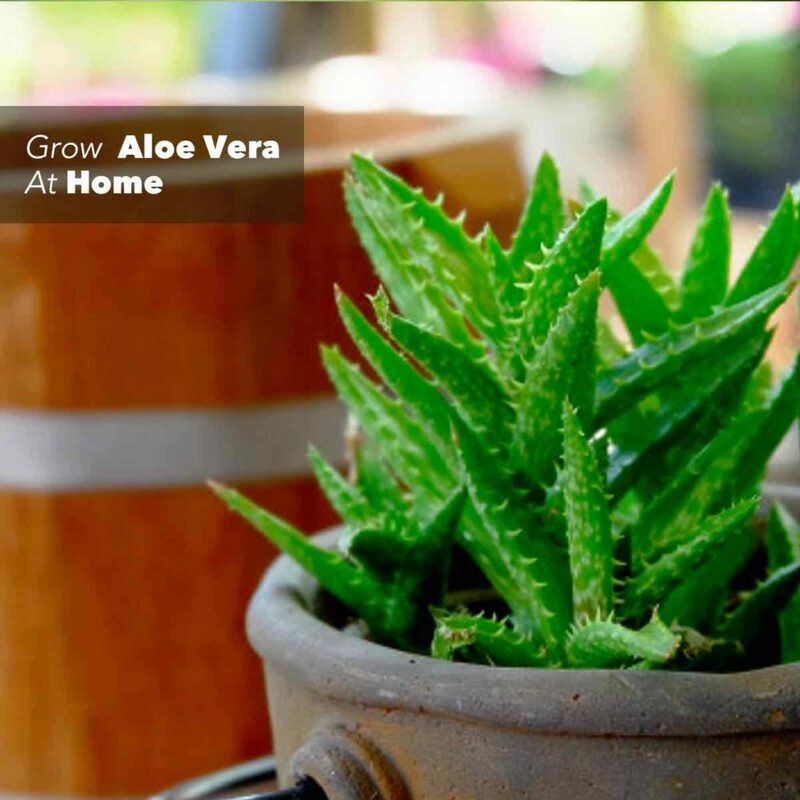 Chances are, you will find an aloe plant in the home of anyone who is health conscious. Aloe Vera, known as “ghritkumari” in India, is a cactus-type green plant with fleshy leaves. It is called ‘Kalabanda’ in Telugu, ‘Katralai’ in Tamil, ‘Kumari’ in Malayalam, ‘Lolisara’ in Kannada and ‘Koraphada’ in Marathi. Legends say that it was even used by Queen Cleopatra in her beauty products. Ancient Mesopotamians and even soldiers in the army of Alexander the Great are also said to have used it. Aloe vera is widely grown as an ornamental plant, since it requires very little maintenance and does not require much water. It is also a popular indoor plant. It grows best in dry conditions, and the plant cannot survive standing water. The plant has short roots and heavy leaves, so it is best to move the plant to a bigger pot after some time. Aloe yields two products: gel and latex. Most hair and skincare products that contain aloe extracts contain gel. However, in some cases, the entire leaf is crushed, which means both the sap and gel are used. You can make aloe juice by taking store-bought aloe gel and mixing it in water or a beverage. Otherwise, you can simple blend some leaves in a blender. It is very bitter, so it is better to mix it with some milk, fruit juice or honey to make it more palatable. Aloe vera has a number of benefits. Aloe is a wonderful and effective antiseptic, anti-inflammatory and antibiotic medicinal plant which contains 20 of the 22 amino acids and 7 of the 8 essential amino acids the human body requires. The researchers compared the germ-fighting ability of an Aloe vera tooth gel with two popular commercial toothpastes. They found that the gel was just as good, and in some cases even better than the commercial toothpastes at controlling cavity-causing oral bacteria. Apparently the Aloe latex contains anthraquinones, which are compounds that actively heal and reduce pain via their natural anti-inflammatory effects. 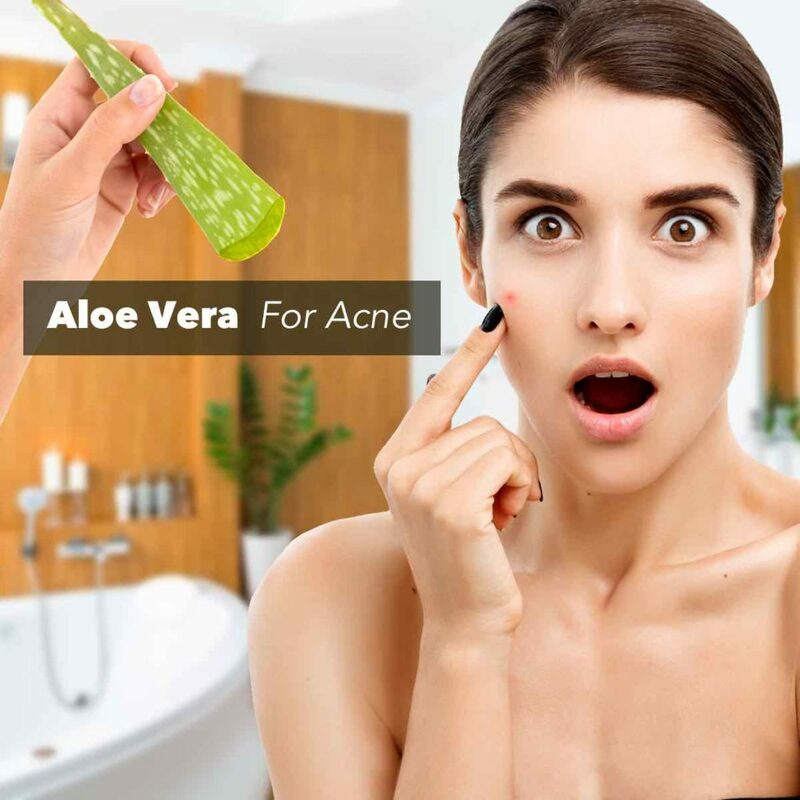 However the researchers have warned that the aloe vera gel used must contain the stabilized gel that exists in the center of the plant to be effective. 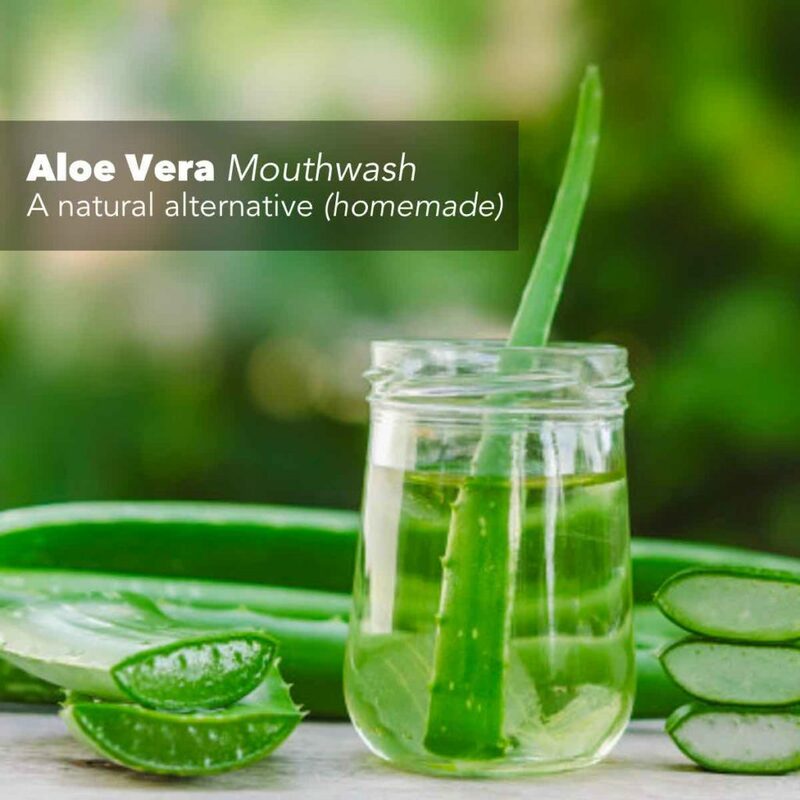 In a 2014 study published in the Ethiopian Journal of Health Sciences, researchers found aloe vera extract to be a safe and effective alternative to chemical-based mouthwashes. (6) The plant’s natural ingredients, such as vitamin C, can block plaque. The anthraquinones in aloe can also provide relief if you have bleeding or swollen gums. Being anti-vrial and anti-bacterial, aloe vera is an effective cure for many dental and mouth infections. It is effective in treating gingivitis, and reduces plaque accumulation. Aloe helps reduce herpes and mouth ulcers. It also soothes the area around dentures. The other superfood – Moringa. Read More. It has been shown in many studies that Aloe Verato is antibiotic, anti-fungal and antimicrobial, even against some of the most virulent infections, such as E. coli, E. faecalis and staphylococcus aureus, the Journal of Conservative Dentistry reports. Researchers at the University of Las Palmas de Gran Canaria, Spain, published a study in the journal Molecules. 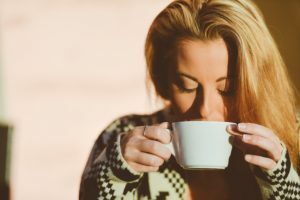 The scientists studied whether the methanol extract of leaf skins and flowers of Aloe vera might have any beneficial effects on the human health. The scientists focused on the possible antioxidant and antimycoplasmic activities of the skin and flower extract. Mycoplasma is a type of bacteria that lack a cell wall; they are unaffected by most common antibiotics. Antimycoplasmic substances destroy these bacteria. Germany’s regulatory agency for herbs – Commission E – approved the use of Aloe vera for the treatment of constipation. Dosages of 50-200 milligrams of Aloe latex are commonly taken in liquid or capsule form once daily for up to 10 days. The US FDA however is not convinced, and has disallowed aloe products from using claims of relieving constipation citing lack of enough data and evidence. 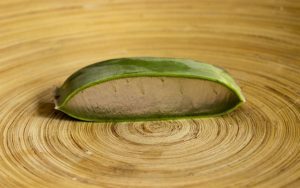 A team of plastic surgeons compared Aloe vera gel to 1 percent silver sulphadiazine cream for the treatment of second-degree burn wounds. Studies on humans and animals suggests that aloe vera has anti-diabetic and glycemic control compounds. (12,13) They found that aloe vera juice is able to alleviate hyperglycemia and disturbed lipid profile that are some of the problems associated with diabetes and are major risk factors for cardiovascular complications for diabetic patients. In one particular study 72 diabetic women without drug therapy were administered 1 tsp of Aloe vera gel or placebo for 6 weeks. Blood glucose and serum triglyceride levels were significantly decreased with Aloe vera treatment. However people with diabetes, who take glucose-lowering medications, should use caution when consuming aloe vera. The aloe juice along with diabetes medications can lower your glucose count to dangerous levels. Working with your health care provider or an ayuvedic practitioner can help avoid such problems. Research suggests that applying an aloe gel in the morning and evening, improves acne by about 35% in both children and adults. The hydrating aloe vera gel may also reduce the frequency and appearance of acne. It may also help reduce other skin conditions like dermatitis. Aloe vera is an antiseptic, anti-inflammatory, antibiotic and an immune booster. Anthraquinones — Aloe vera contains 12 kinds of anthraquinones, which are phenolic compounds that function as laxatives. Anthraquinones also work as analgesics, antibacterials and antivirals. Fatty Acids — Aloe has four kinds of plant steroids: cholesterol, lapel (known for its analgesic, antiseptic and anti-inflammatory properties) campestral and β-sis sterol. Enzymes — Aloe vera has 8 enzymes: aliiase, amylase, catalase, carboxypeptidase, lipase, alkaline phosphatase, cellulase, peroxidase and bradykinase (a topical anti-inflammatory agent), . Vitamins — Vitamins B12, A (beta-carotene), E and C are present in substantial quantities followed by folic acid and choline. Minerals — Aloe also has a plethora or minerals such as chromium, magnesium, calcium, zinc, copper, manganese, selenium, sodium and potassium. These play essential roles in the human body’s metabolic pathways. Drinking aloe vera juice is an excellent way to make sure that you get enough nutrients. Aloe vera is one of the rare plant sources of vitamin B-12, too. Take note vegetarians and vegans! There is scientific evidence that use of aloe vera on skin increases collagen production. Aloe stimulates fibroblast which produces the collagen and elastin fibers making the skin more elastic and less wrinkled. It also makes skin softer, since it has excellent hydrating properties. It acts as a moisturizer for dry skin. Application of aloe tightens pores. Aloes gel acts as an astringent too. Most products for oily or sensitive skin include aloe. Aloe vera is good for maintaining skin balance. Aloe vera has hydrating and soothing properties. 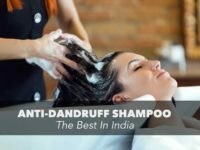 Applying aloe vera to the scalp can get rid of itchiness and fungal infections. You can directly apply the gel to scalp. Otherwise, mix aloe gel with coconut oil and apply it to scalp and hair to get good conditioning and a healthy shine. Apart from applying aloe topically, aloe extracts or medicines containing the same can be ingest orally for a number of health benefits. Aloe latex is very effective against constipation. It increases water content in the intestine and increases mucus secretion. This makes it a potent laxative. Drinking aloe vera juice helps fight constipation. In many cases, patients undergoing chemotherapy or radiation burns also use aloe gel. However, studies in this area remain inconclusive. Research suggests that one specific aloe-rich product- Aloe QDM complex, Univera Inc., Seoul, South Korea- aids weight loss. 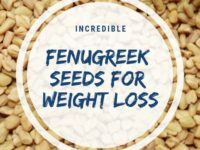 After ingesting twice daily for eight weeks, this product was claimed to reduce body weight and fat mass in overweight or obese people with diabetes or prediabetes. However, not much evidence exists to support this claim. A number of medicinal, pharmaceutical, cosmetic and dietary products contain aloe in some form. It has widespread use in traditional medicine too. 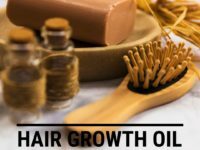 It is a common ingredient in astringents, facial creams, shampoos, incense sticks, make up, soaps, shaving creams and tissues. You can even make DIY face packs and hair tonics with aloe vera. While topical application of aloe gel or products has not shown any harmful effects, oral ingestion of aloe can be a cause of concern. Since aloe is a potent laxative, careless dosage may result in diarrhea. Pregnant women or people with sensitive digestion should not take aloe extracts orally. Aloe latex has laxative properties. Use of laxatives is linked to dehydration and reduction of potassium levels in the body. 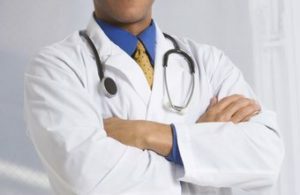 Laxatives can also affect rate of absorption of medicines by the body. Aloe latex can affect kidney and liver functions, according to some studies. Remember, products which use the whole aloe leaf contain both aloe gel and aloe latex. It is thus extremely important to check product ingredients before using oral aloe supplements or aloe juice. Consult a doctor before taking any aloe products orally. Aloe vera is a plant found in dry regions. It has green fleshy leaves. It grows widely in India. Aloe vera is known for its medicinal values. In India it is widely known as “ghritakumari” and is a common ingredient in traditional medicine. What is aloe vera called in India? 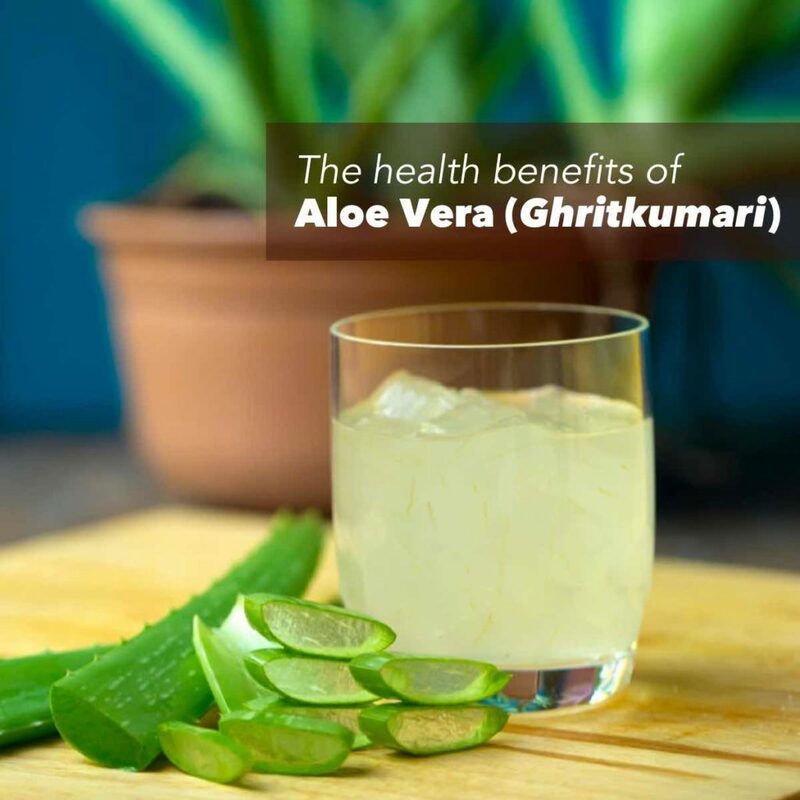 Aloe vera is called “ghritumari” in Hindi, ‘Kalabanda’ in Telugu, ‘Katralai’ in Tamil, ‘Kumari’ in Malayalam, ‘Lolisara’ in Kannada and ‘Koraphada’ in Marathi. How to grow aloe vera at home? Alow vera can be easily grown at home in a pot. It is a popular indoor plant. It requires adequate sunshine, but cannot grow in standing water. Use soil mixed with sand and gravel. How to make aloe gel at home? Break a fleshy leaf and scoop out the gel with a spoon. You can break the solid chunk and mash it to apply it topically. If you want to apply aloe gel to inflamed skin or burnt areas, you can keep it in the fridge to cool it, which can soothe your skin. How to make aloe juice at home? Break a leaf, crush it in a blender. Mix it with milk or fruit juice and drink. It is very bitter. It is, however, not advisable to make it at home. What are some skin benefits of aloe vera? Aloe vera fights acne, soothes burns and cuts, reduces scarring, has anti-ageing properties and maintains moisture balance for skin. It is very effective for oily skin. 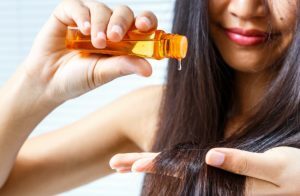 What are the hair benefits of aloe vera? Aloe vera can soothe scalp itchiness and condition hair. 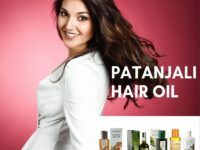 It can reduce hair fall. It forms a protective layer around the hair which reduces dryness and prevents breakage. 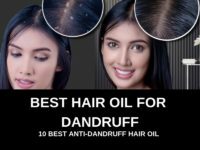 At the same time it can prevent scalp infections. Does aloe vera reduce blood sugar levels? No medical evidence exists to support this claim. Diabetes is a serious issue. Please consult your doctor before doing any self-medication or eating something. Is it good to drink aloe vera juice? Aloe juice is a laxative, so it is useful for those who suffer from constipation. However, you must consult a doctor before doing so. Are there any side effects of aloe vera? Overdose of aloe juice can cause diarrhea. Aloe vera also interacts with some anesthetics, so it is best not to drink any aloe juice at least for two weeks before scheduled surgery. Talk to your doctor or surgeon in this regard. Is it safe to drink aloe juice? The best thing to do is to buy aloe juice from reputed brands and chemists. You can make your own aloe juice at home, but since aloe latex is a potent laxative, it is better to go for trusted brands who can find the right balance of nutrients and compounds for the product. Aloe vera is widely used in cosmetics, skin care products, shampoos, medicines and soaps. 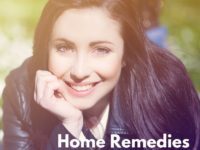 It is also used in a number of home remedies- like in face masks, hair masks, astringents, mouthwash and in treating burns and wounds. Amrita Singh is a graduate of Mumbai University. She has spent most of her life playing sports and cuddling cats and has annoyed parents & professors alike. 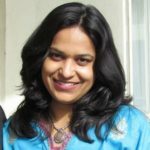 Now a Vitsupp health writer, she enjoys writing about all things health.